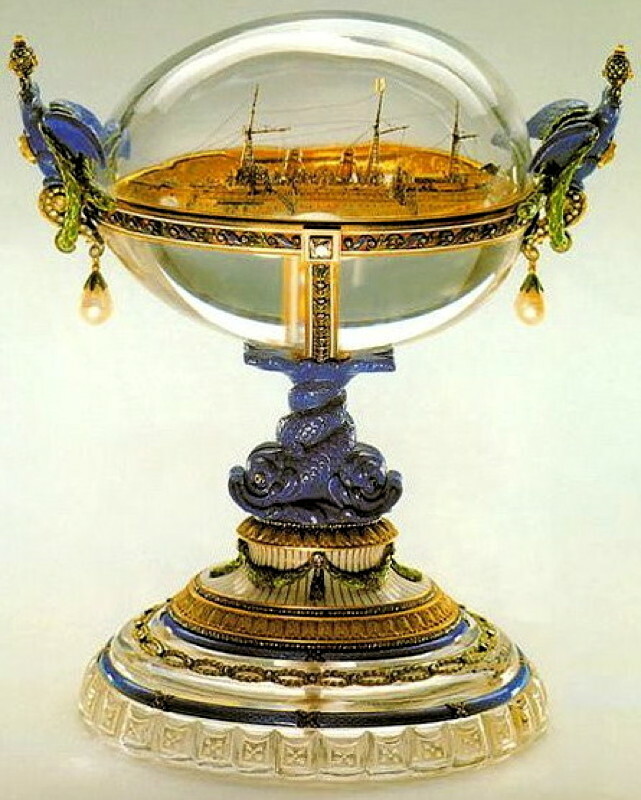 Sailing on the clear rock crystal oval base representing the sea, inside this egg, is a replica of the royal yacht, the Standart - reproduced to the last detail - where many happy days were spent together. The crystal egg is horizontally mounted in gold and bears the inscription "Standart 1909" on the edge of the mount. The ca. 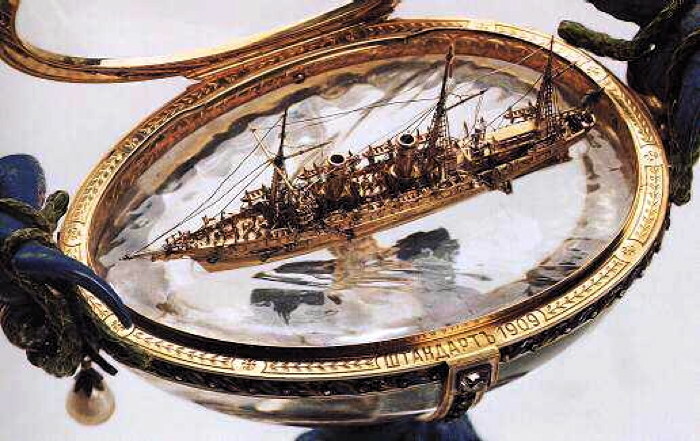 5,500 ton yacht Standart was commissioned by Alexander III in Copenhagen. It was first launched in 1895 and was 116 meters long, making it the largest yacht in the world at that time. It had thirty rooms, and a stable for a cow to ensure the imperial children of fresh milk! The yacht took the imperial family on frequent sorties along the Baltic and the Finnish coasts. Fabergé differed wery much from all the other jewelers of the period. Where they were only interested in large gemstones, Karl Fabergé was interested in the ultimate effect that a piece would have, a lasting effect so that every time you looked at a particular object, you would have this great sense of sheer enjoyment and pleasure from it.